Simplify and speed up the coding process with this one-stop, cross-coding resource developed for those who work for physicians, hospitals, or payers. 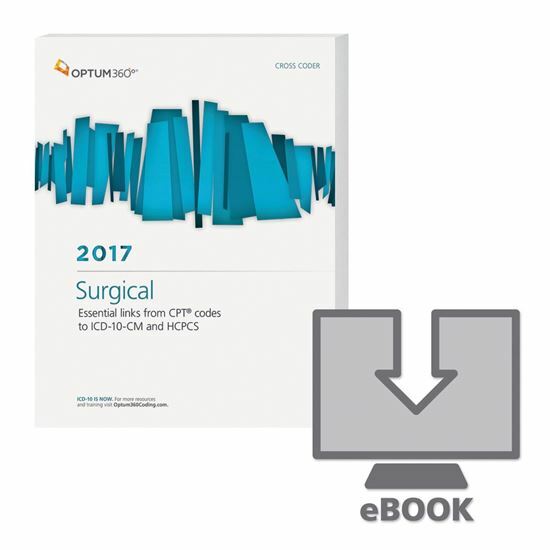 This easy-to-use eBook provides essential links from CPT® codes to the appropriate ICD-10-CM and HCPCS Level II codes along with corresponding, clarifying illustrations. The Surgical Cross Coder is sure to help you code it right—the first time! Optum360 Edge – Ideal for quick reference. eBooks are indexed and bookmarked for fast searching, allowing you to move through the content quickly and efficiently. Numerical organization by CPT® code. These easy-to-use eBooks provides an all-in-one guide for coders who need diagnosis and procedure code information for surgical procedures.